This deluxe play yard is the perfect resting and nesting place for children of all ages. High sides and thick walls hold crawlies and toddlers, yet the bright colors entice participants to frolic and play. 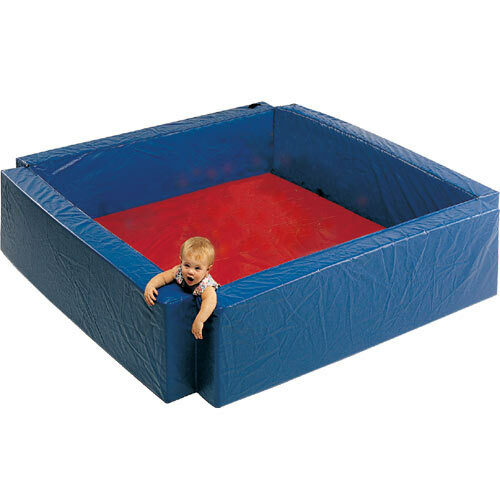 The padded foam walls and soft mat provides cushioning for stumbles and falls. The play yard is extremely simple to set up and store and it comes with two folding sections that are opened and closed with industrial strength zippers. This refuge big enough for little ones to roam and explore and it's perfect for initializing early socialization.